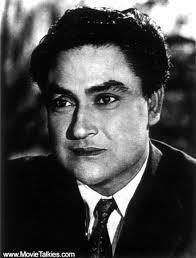 Of all actors of India, Ashok Kumar or Dadamuni as he is fondly called, is very close to one's heart. He was almost my grandfathers age while I was watching his movies. I have watched him as a hero , as the elder brother of Kishor Kumar in the iconic Chalti ka naam Gadi , as the suave villain in Jewel Thief, the prankster with Pran , the father in the Hrishikesh Mukherji movies , the man who had the secret formula for Mr.India and the list is endless. Ashok Kumar was regarded as a natural actor and he was absolutely at ease in front of the camera in whatever role he played. He was India's first superstar. The earliest scene that comes to mind with Ashok Kumar is the scene from Mahal where he was the first real star to romance the bewitching Madhubala. This movie also is probably the first in the haunted genre. 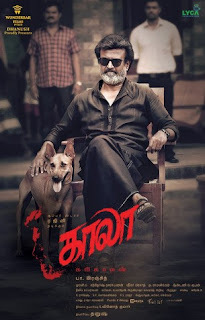 In Indian cinema, the success of a haunted movie has nothing to do with the special effects and technical wizardry, but everything to do with its music. This scene shows the classic haunted genre stereotype - the hero hearing a voice, running after to find the source of the voice, usually a women draped in white and in this case a surreal beauty in Madhubala. Usually these sequences are accompanied with stormy winds, objects falling and scared faces. Rebirth is the most scientific of all explanations. Ashok Kumar nails the scene with his pensive, scared and inquisitive looks. The song "Aayega , Aayega" is a classic as well. For a debutant director , Kamal Amrohi manages to build sufficient tension and intrigue in ten to twelve minutes for a 1949 movie.